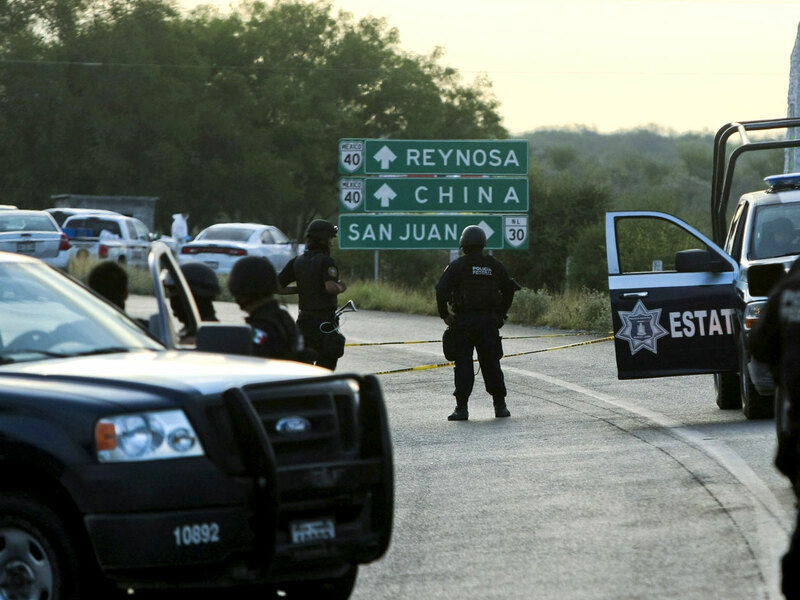 MEXICO CITY- One of the military deserters who helped found the gang that grew into the brutal Zetas cartel was among six people killed during a gunbattle in a border town, a Tamaulipas state security official said Sunday. The official said that Mellado Cruz was one of the 30 ex-special forces soldiers who created the Zetas gang to serve as enforcers for the Gulf Cartel before splitting off in a bloody breakup with its former ally. When the Zetas split from the Gulf Cartel in 2010 to form their own violent organization, Mellado Cruz is believed to have gone back to the Gulf Cartel, albeit maintaining a much more low-key role, according to Borderland Beat, a blog that closely tracks the drug war in Mexico. Tamaulipas has become one of the arenas for fighting between the Gulf Cartel and the Zetas and was one of Mexico's most violent states. But the state had calmed somewhat by 2012, before violence re-ignited in recent weeks.
} Last year, Miguel Angel Trevino Morales, the then-alleged leader of the Zetas cartel, was caught by Mexican Marines in a town called Anahuac near the border of Tamaulipas and Nuevo Leon states. Officials said no shots were fired in his capture. The Zetas cartel is among Mexico's most violent drug organizations, notorious for civilian killings and beheadings. Its leaders ordered the killing of 72 undocumented immigrants in 2010 in what is known as the San Fernando massacre. In May of 2013, the Mexican army said their leaders ordered underlings to leave 49 mutilated bodies in a northern Mexico town square. Los Zetas is one of eight major, rival drug cartels involved in an ongoing conflict for regional control.